Hotel Nangu is brand new for 2017 and is the epitome of everything that we strive to offer our clients at The Aurora Zone. 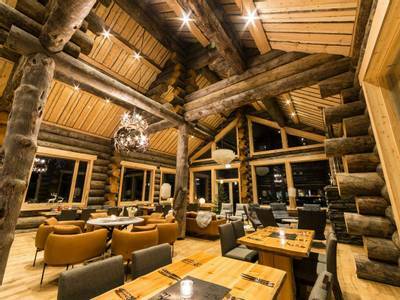 It oozes elegance, tradition, and cosiness, and has a stylish restaurant that offers a great selection of local dishes. 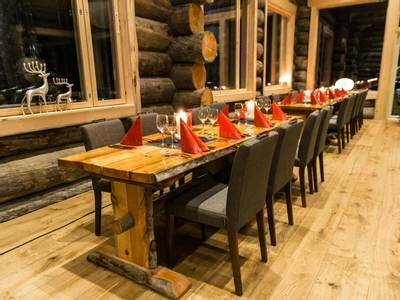 You can do all of the best winter activities from here, as the hotel has access to husky and reindeer farms, snowmobile equipment and more. 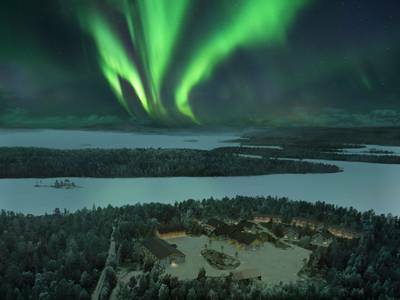 The real draw, though, is the hotel’s location, as its position by Lake Inari leaves a vast expanse of darkness at night that makes it a successful Northern Lights viewing destination. 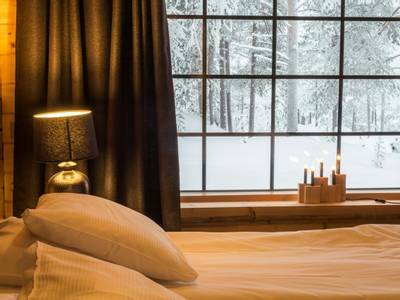 Escape to the wilderness of Finnish Lapland this winter on an activity-filled break at boutique Hotel Nangu. 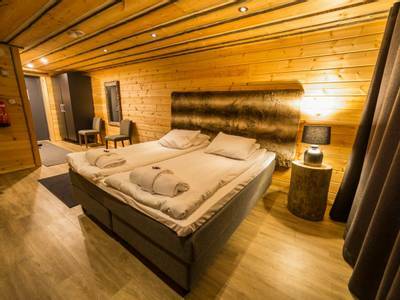 This adults-only hotel offers elegance, comfort and peace and is positioned in a remote destination that is ideal for searching for the Northern Lights, due to its complete lack of light pollution. 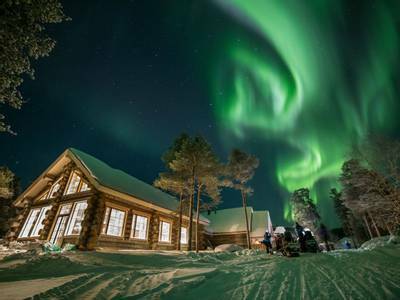 While you are here, you will experience two thrilling snowmobile excursions, a husky and reindeer day, two Aurora Camps and snowmobile-pulled sleigh rides through the stunning wintry landscape. 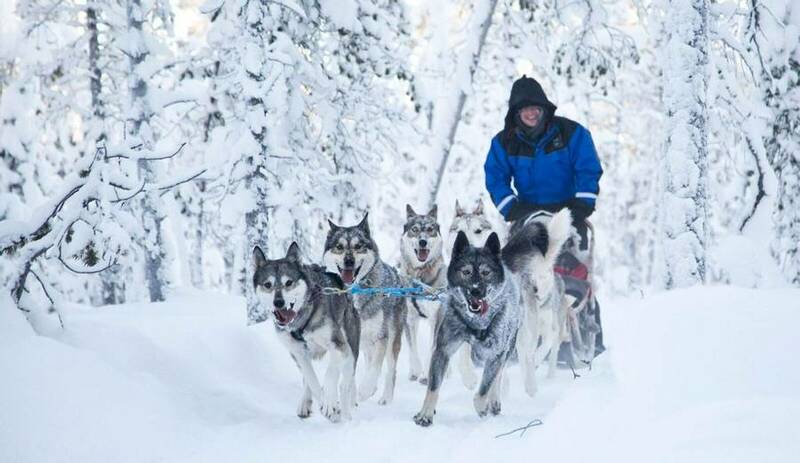 The following activities are included in the holiday: dog sledding, snowmobile-pulled sleigh to a reindeer farm, daytime snowmobile safari, two Aurora camps, Aurora snowmobile safari (the order of activities is subject to change). 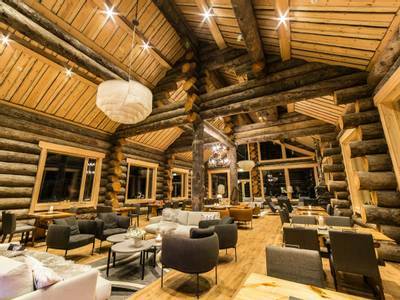 Boutique Hotel Nangu sits on the remote southern shores of Lake Inari, perfectly positioned in a wintry haven that offers the ideal combination of relaxation, activities and Northern Lights viewpoints. Our four-night itinerary includes all of this, as we have rolled all of the best activities into just three days. 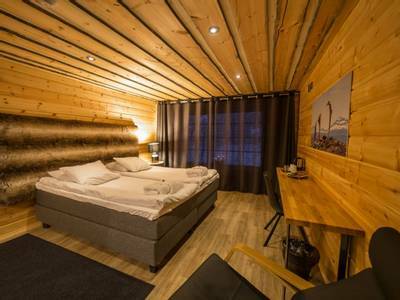 There’s time to enjoy your accommodation in between, and three Northern Lights hunts in the evenings. 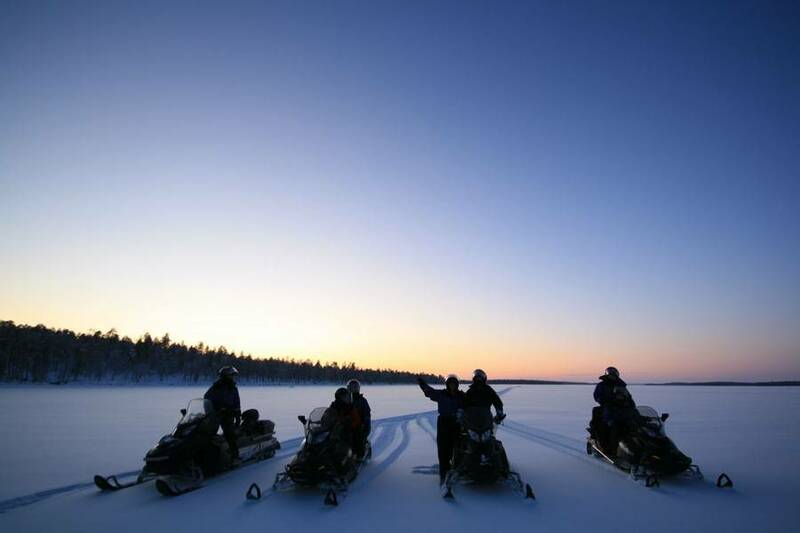 By day, you will find yourself speeding over the frozen expanse of Lake Inari by snowmobile, meeting a traditional Sámi reindeer herder, feeding reindeer, guiding your own team of huskies, and enjoying a snowmobile-pulled sleigh ride to the Russian border. 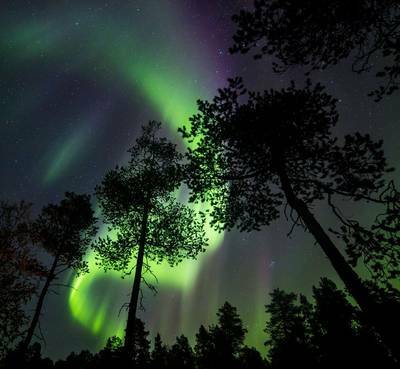 By night, you will, of course, be on the look-out for the Aurora Borealis. Twice you’ll travel by snowmobile-pulled sleigh as you venture towards a dedicated Aurora Camp, where a warming campfire waits for you. 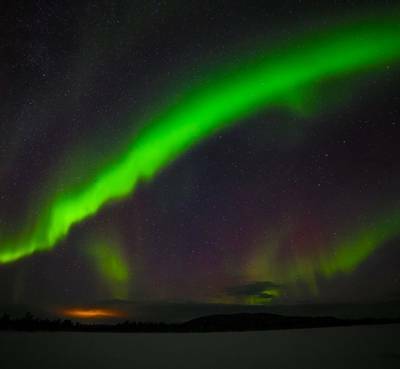 The third will be by snowmobile, so you can search further afield, hopefully escaping any localised cloud cover that might obscure the dazzling colours and formations of the lights. Your base for the duration is owned by, Jouko and Mari, who already oversee two of our most popular hotels which are in the vicinity of Nangu. We’ve worked with them for years and we know that they have been desperate to make their boutique hotel dreams a reality. 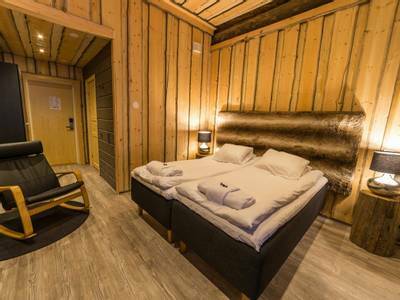 Hotel Nangu is newly renovated for winter 2017, and offers elegant double rooms, with the option to upgrade to superior rooms with panoramic windows for breath-taking views of Lake Inari. 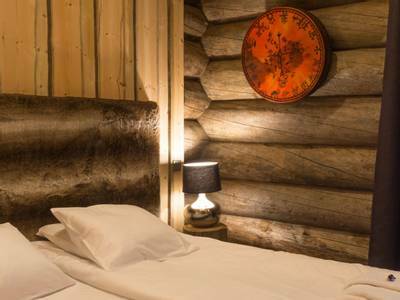 Not only does the hotel offer ultimate comfort, but it is open to adults only over winter for added tranquillity. After around thirty minutes, your hotel will become visible, welcoming you with its cosy and warm ambience. Today combines two of our most popular activities, as you will travel via snowmobile-pulled sled between a husky farm and a reindeer farm. After breakfast, you will take an approximately thirty-minute car transfer to Nellim. 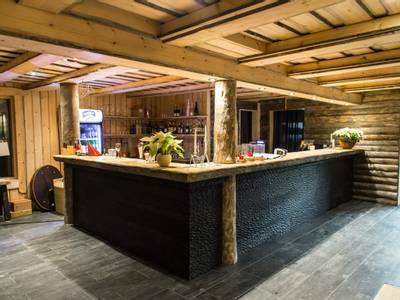 Once you arrive, the group will be divided into two, so that one group can begin at the husky farm while the other commences with the reindeer farm. 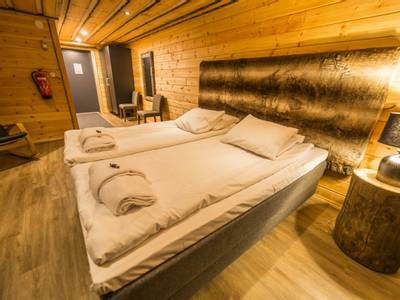 Both will then depart to their first destination in a snug sleigh, meeting for lunch after their first activity in Wilderness Hotel Nellim. At the husky farm, your guide and expert musher will greet you and show you around, telling you a bit about the farm and the lives of the sled dogs. You will then receive a thorough safety briefing and lesson on how to guide your own team of huskies and control a sled. All the while, this will be accompanied by impatient yaps and barks in the background, as the dogs wait impatiently to begin their run. 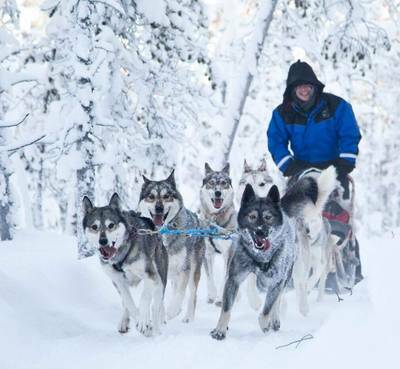 Bursting with energy, the dogs will set off on the trail, following your guide who will lead the way, and you will travel two people per sled. Leaning your body to guide the dogs around bends and help them along, you can watch the wintry landscape pass by as you go. You will travel over part of Lake Inari, which is thick with ice at this time of year and offers the perfect open space for a husky safari. Along the way, you will take a break so that you have the chance to swap drivers if you wish. Then, the excitable dogs will take you back to the farm. Now is the perfect time to stroke the dogs and take some pictures, as they will be far more relaxed after an exhausting run. 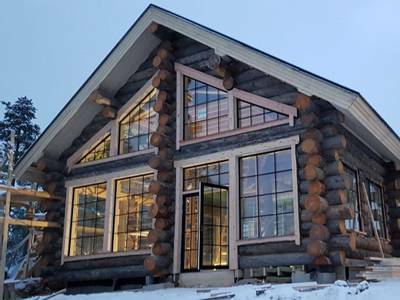 Following this, you will settle back into your sleigh and head towards the reindeer farm, taking a small detour to the Russian border and to Nellim’s quaint log church. 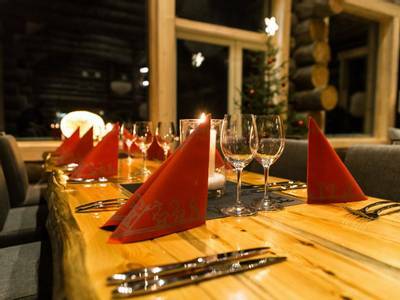 After meeting your guide and Sámi reindeer herder, you will be shown around the reindeer farm and introduced to the reindeer. You may even get the chance to feed them, as your guide shows you how to position your hand and wait for the reindeer to come to you for some lunch. During the visit, feel free to ask questions about Sámi culture, as it is fascinating to learn about the traditions and beliefs which so heavily influence this region today. Overall, you will be out for around seven hours, so you’ll be ready for dinner tonight. 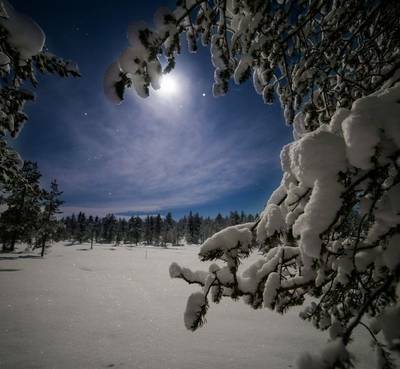 There is also a relaxing Aurora activity tonight, to finish off a jam-packed day, as you head out in search of the Aurora by snowmobile-pulled sleigh. 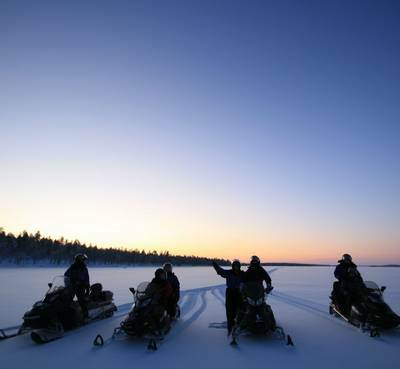 Hopping back into a sledge, you can sit back and simply admire the Arctic sky in all of its glory, as your guide leads the way to the Aurora Camp. Once you arrive at the Aurora Camp, specifically chosen for its previous success in Northern Lights spotting, the campfire will be lit to warm you as you patiently watch the skies. 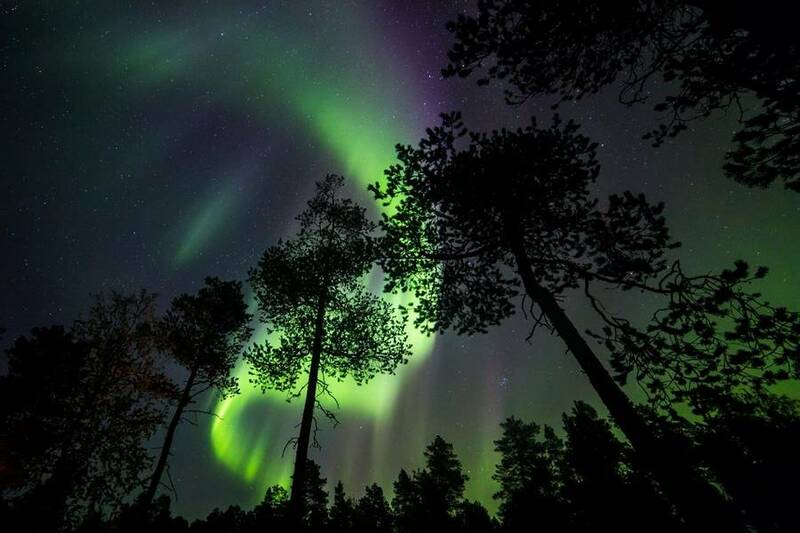 While you rest and enjoy a hot drink, your guide will tell you myths, facts, legends and tales about the Aurora Borealis. 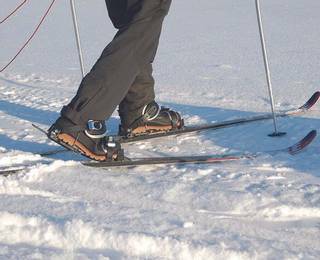 Why not take a look at the ‘personalise’ tab on this trip, as cross country skiing and snowshoeing are on offer if you fancy upping the ante today. Simply contact our travel experts to add one of these additional activities to your trip. Alternatively, you can curl up with a book by a window with spectacular views, enjoying the smug feeling that being cosy indoors can provide when it’s cold outside. You could, however, pull on all of your layers and venture outside to explore the hotel’s stunning surrounding area. 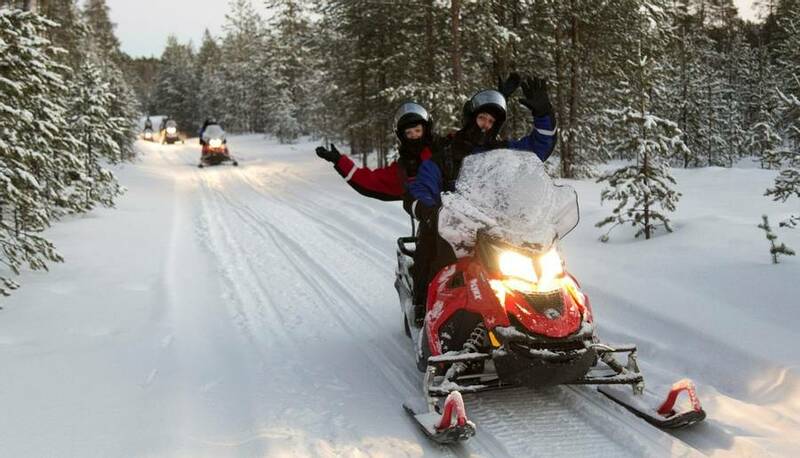 Once the guide is confident that the group is ready to depart, you will head out into the night, with only the snowmobiles’ headlights to guide the way, adding an extra thrill to the experience. 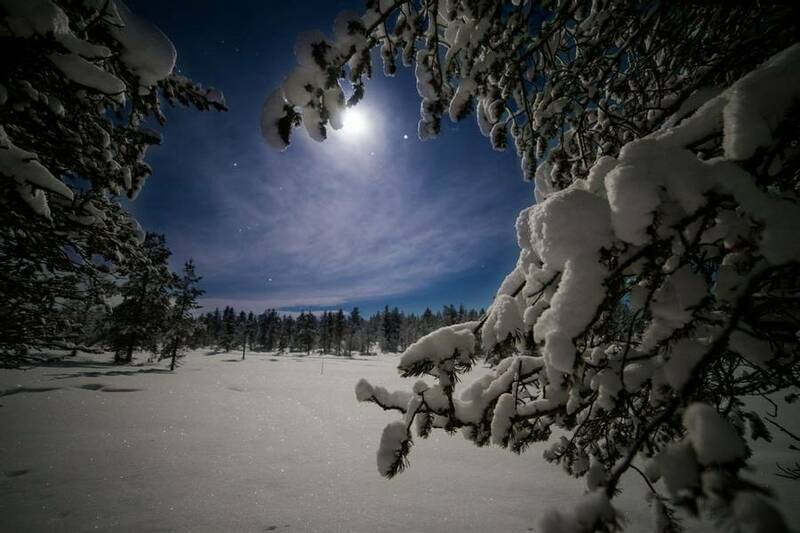 Of course, the moonlight may lend a helping hand, and hopefully the Aurora Borealis will shimmer and glisten as well. 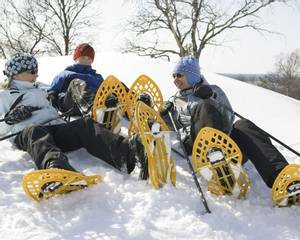 Overall, this activity will last for around 2.5 hours, including a break for hot drinks. 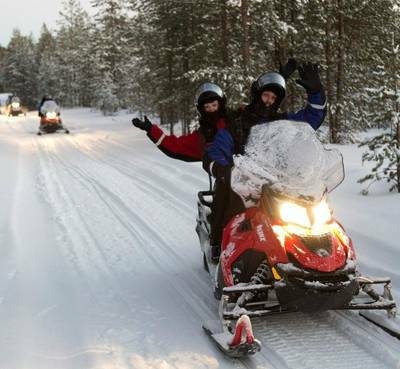 Two people will share a snowmobile, and you must be 18 years or older and hold a valid driving licence in order to drive. There will be the chance to swap drivers if you wish to do so. 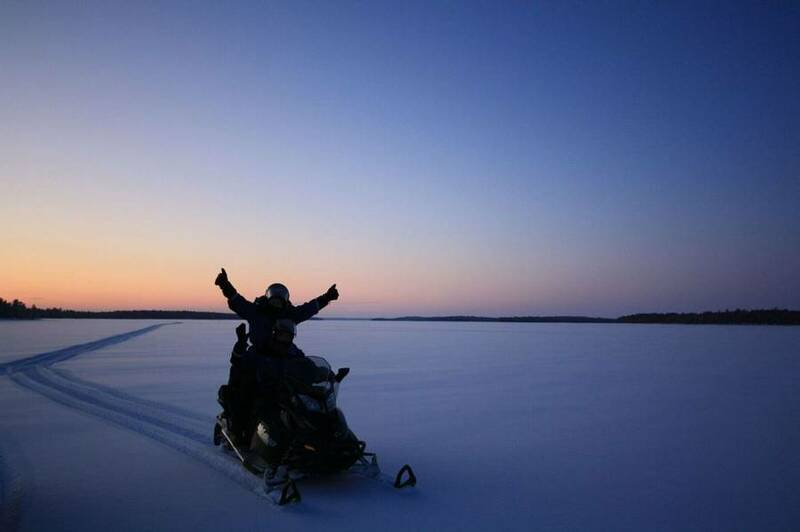 After yoru lesson in snowmobiling, you will return to Lake Inari for the drive. This time it will be in daylight (or blue light if you are travelling in mid winter), so you can appreciate the distant views of rolling fells and snow-laden pine trees that would have been obscured last night. 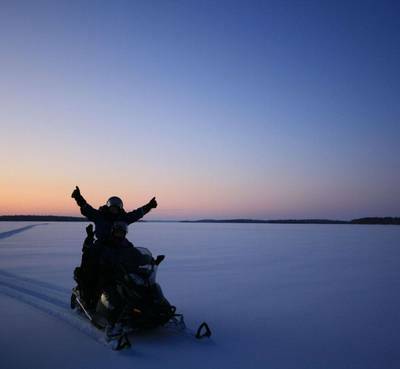 Two people will share a snowmobile, and you must be at least 18 years and hold a valid driving licence in order to drive. 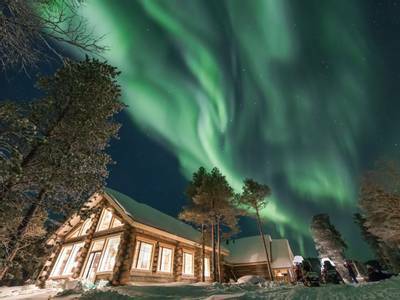 When you return to the hotel, you can enjoyed a relaxed afternoon, packing and preparing for your flight home tomorrow as you will spend tonight on your final Northern Lights activity. 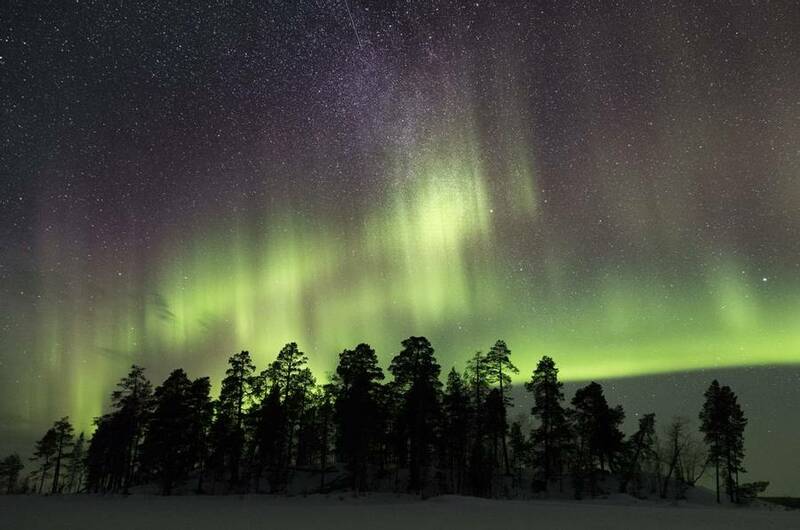 We have included a second Aurora Camp this evening, as this is your final chance to see the Northern Lights before you begin your journey home. Enjoying a snug sleigh-ride out into the wilderness for the final time, you will eventually reach the Aurora Camp. As you sit around the fire and reminisce about your trip, we hope that the Aurora makes an appearance tonight. 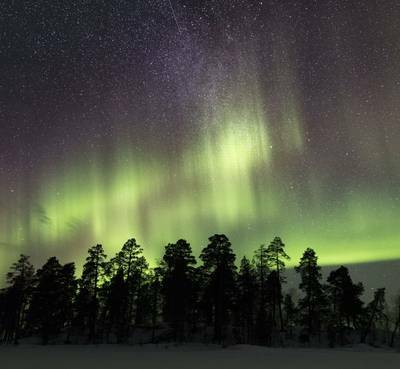 Your guide will advise you on how to photograph the illusive lights, and tell you some interesting facts about them as they, hopefully, dazzle and amaze you. Today, after your final breakfast, it is time to depart. You will bid Hotel Nangu farewell, and take your transfer in time for your flight home. This room type contains all of the same facilities as a standard room but offers more space. 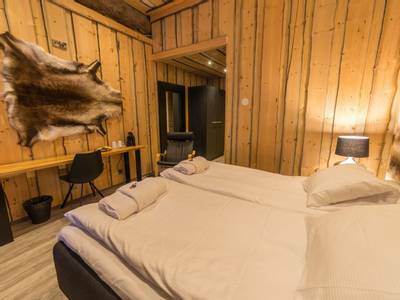 It also has the added benefit of a panoramic window that looks out onto Lake Inari, providing sensational views from the comfort of your bed. 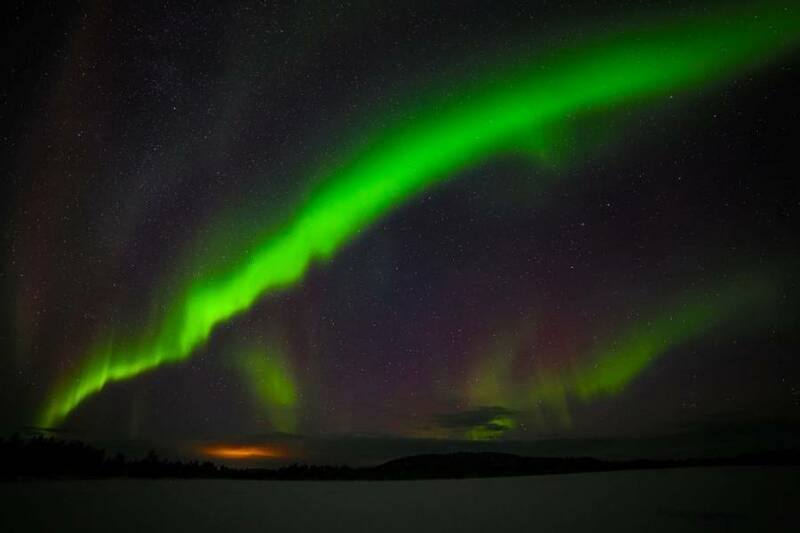 Imagine just lying there while the Aurora Borealis blazes over Lake Inari! After this guided introduction, you may have the opportunity to head out on your own and put your new skills to some independent practice. This will be dependent on time left after the activity and will be at the guide’s discretion. The minimum age for participation in our itinerary is 18 years old however, for some activities and shared transfers, our guests may be joined by others and these may include those of a younger age. Any younger participants will be fully supervised by an adult and the guides will ensure that they are only able to participate if there will be no affect on the activity experience. None of the hotels we feature have a minimum age and so there may be families staying at them with younger children, especially during the holiday periods.